Keith Ewell has more than 22 years of experience bridging the communication gap between human services and information technology professionals, leading the design and development of solutions for human service agencies and managing complex projects. 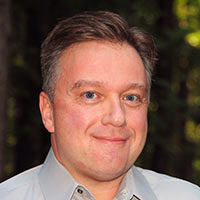 A licensed clinical psychologist and one of the founders of Harmony Information Systems, Dr. Ewell brings an unusual blend of clinical, technical, and management expertise to his role as vice president of product management for Mediware Human and Social Services. He joined the Mediware team in 2014 when the company acquired Harmony.